Filtrol 160 Washing Machine Lint Trap Filter | Protect Your Septic System! 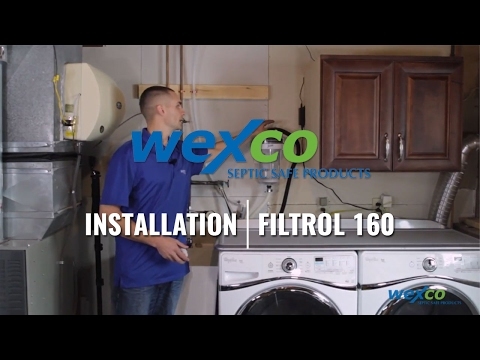 The Filtrol-160 includes the filter housing, wall mounting bracket, washing machine connection hose, and all necessary connection fittings. The unit can easily be installed in 10-15 minutes! The majority of lint fibers are very fine lightweight particles that stay in suspension in the septic tank. They then flow with the water out to the drainfield where they plug the pores of the soil. Over time, the soil can become so plugged with fibers that the drain field fails to allow the effluent to migrate through the soil. Then, the homeowner is faced with costly repairs. For homes connected to city sewer systems, these lint fibers are a leading cause of sewer pipe and drain clogs, which can cause flooding in laundry rooms and basements.